When I told people I was traveling to Chicago during winter break, literally everyone told me I was crazy. You’re not supposed to visit Chicago during winter, they all said! Who would want to do that? Well, this southern Californian girl did and I loved every minute of it, including the weather. But, man, I know why they call it the Windy City now. That wind just chills you to the bone. I had never been to Chicago and was stoked to get to see the sites. I put together my top 10 of Chicago, filled with tons of pictures, you definitely should check out the next time you're in town. 1. Chicago Theatre Sign – Iconic and a can’t miss photo op. Not much to say about this one! 2. Cloudgate/Bean – Cloudgate, or otherwise known as the Bean, is the only thing I thought about before going to Chicago. It didn’t disappoint. TIP: If you go early, you may be able to get a photo of it by yourself. I went before 8am while it was snowing and really lucked out. 3. Deep Dish Pizza – There is a running debate of which iconic Chicago deep dish pizza is the best. The 3 in debate are Lou Malnati’s, Gino’s East and Giordano’s. I’ve heard it every way, from Chicagoan’s and tourists. During my short time I only had the opportunity to try Gino’s East. At lunch they had a great personal deep dish pizza special. Maybe I was hungry, or I’m not much of a pizza connoisseur, but I thought it was delicious! I think the crust was my favorite part and I usually hate crust! But jury’s out, you’re just going to have to try them out for yourself! 4. Art Institute – This is now one of my favorite places on Earth. I would not call myself a big museum person. I love art, obviously, I’m a Graphic Designer, but I’m not one to spend hours and hours staring at artwork. But this place was something else. I literally didn’t want to leave the Monet room. So obviously my favorite area was Impressionism. You can’t go wrong with Van Gogh, Monet, Cézanne and Renoir. Set aside at least a few hours for this museum. 5. 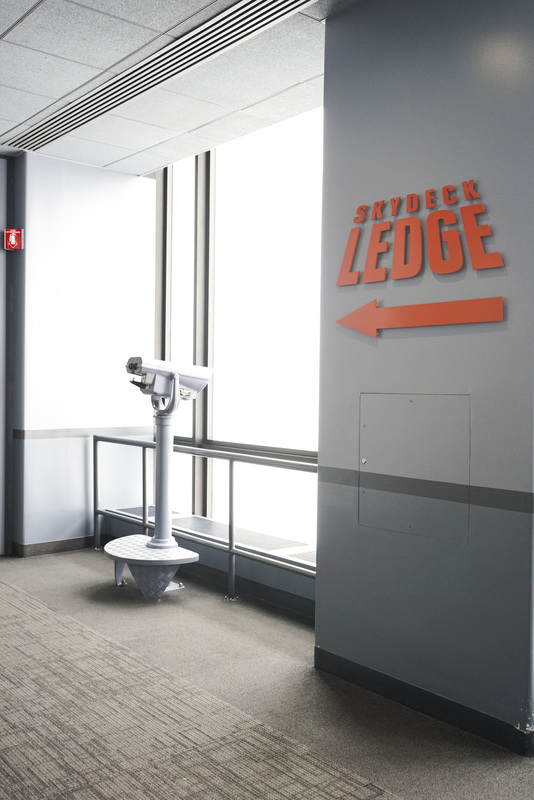 Skydeck Chicago – Located at the top of the Willis Tower, otherwise known as the Sears Tower. Let’s face it, everyone still calls it that. I chose to go to Skydeck Chicago over the 360° Chicago and Tilt at the John Hancock building. I thought the view would be much cooler stepping out onto a glass balcony versus leaning at an angle over the city with Tilt at 360°. If you happen to go when the weather isn’t great and it’s a pretty foggy day, don’t fret. The fog clears every few minutes for seconds at a time, so be patient. 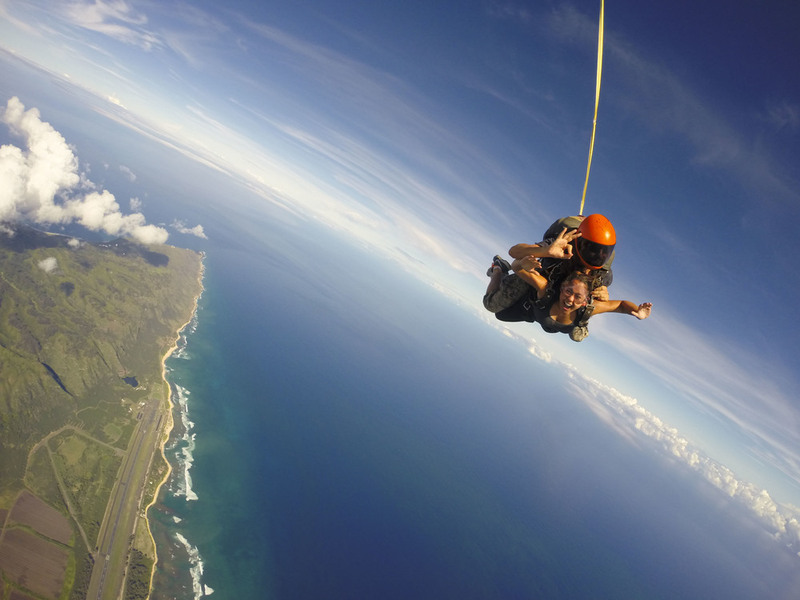 There’s not time limit to being up there. I’d say you can get some pretty great photos when it’s foggy, too. It looks like you’re floating on air. 6. Eataly – If you’ve never heard of Eataly, you should thank me. It is basically a giant Italian food hall/market filled with yumminess. I’ve been dying to go to the one in New York, so when I heard that there was one in Chicago of course I had to go. 7. Museum of Contemporary Art – I wouldn’t have even known to go here had it not have been for our heater breaking in our hotel room and the repair man recommending it. It’s a much smaller museum that you could easily squeeze in between tours, but definitely worth seeing. Be sure to check out the grid (shown directly below) in the café and head down to the first floor and look up at the staircase. 8. Signature Lounge at John Hancock Tower – Another reason why I think you can skip 360° is the Signature Lounge on the 95th Floor of the John Hancock Tower. They are literally in the same building so you basically get the same view, but the signature is free! Well, admission wise. I would recommend going up there and having a drink and taking in the amazing view. You know you want to have a drink at the #topofthecock. Don't miss the awesome light fixture in the lobby of the building. 9. Do-Rite Donuts – Donuts are a must in any city, right? I stopped by Do-Rite for some donuts to take to Boston and surprise they survived a plane ride and were still delish. I’ve heard great things about the Doughnut Vault and Glazed & Infused, too. 10. Underground Walkway in O’Hare Terminal 1 – There’s an underground walkway that connects the two sections of Terminal 1 at O’Hare that is incredibly cool. Across from the giant dinosaur replica there is an escalator down. Take the escalator down, trust me! The Chicago sites were amazing. If the must-see sites include the airport, I think that city is something awesome. Chicago is also a very walkable city and I'd say its pretty do-able in a long weekend. You'll see just enough of the important sites and get to try out some of Chicago's best eats.